Matchy-matchy is out. When my husband and I got married nearly 13 years ago, my one big request was to invest in a matching bedroom set. In my exact words, I didn’t want to have a “hodgepodge” master bedroom. Like so many people, we marched out to a national furniture retailer and bought the whole five piece coordinated set. While this approach is easy, it has gradually lost appeal, particularly with young buyers. People are looking to create one-of-a-kind customized spaces. Varying furniture pieces is one of the easiest ways to achieve this look. PRO TIP: If it feels daunting, hunt for pieces with similar lines or coordinate based on stain/enamel color. Something old and something new. Increasingly, interiors have become intentionally eclectic. I would like to emphasize the word intentionally, because an eclectic interior is certainly not an invitation to buy ALL THE STUFF and put it in your home. Rather, an eclectic home is about making sure plenty of textures, layers, and mixed materials are represented in your space. Try coupling something aged like barn wood with the metallic sheen of a gold vase. Reupholster an antique chair in a bold, graphic print. These are all ways to increase the eclectic appeal of your home. Something blue. Trend forecasters have a convened and the verdict is out–blue is here for the long haul! Blue home accents have been on the scene for quite a while now, but blue is quickly becoming a staple in foundational pieces such as kitchen cabinetry and interior doors. Test the waters by adding in a blue occasional chair or area rug! Moody colors have arrived. While most people still prefer a predominantly neutral home interior, moody colors, such as charcoal, navy, blackened emerald, and deep purple are cropping up across the design horizon. 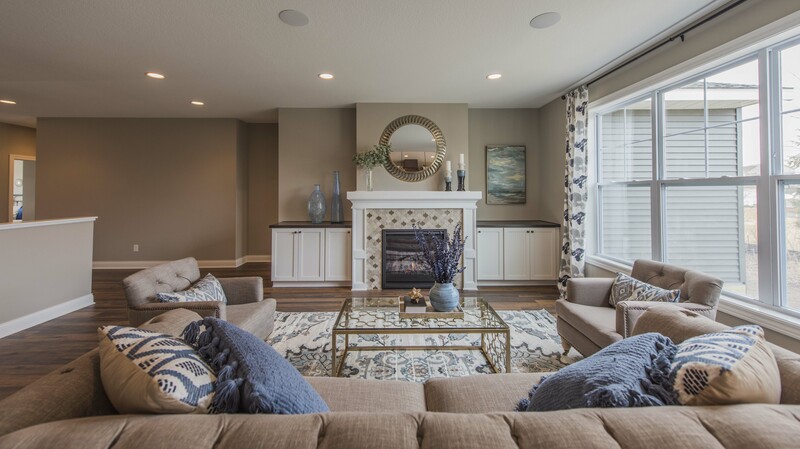 When executed correctly, moody colors can enhance the design and function of a designated space. Unlike naturals, moody colors demand a predetermined design plan. Want to create a gallery wall in your home? A dark accent wall is the perfect jumping off point for a collection of pictures with white mats. 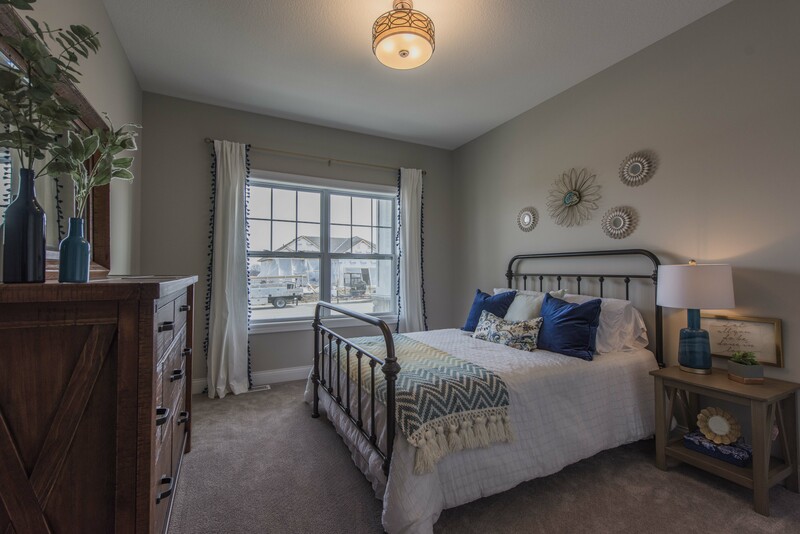 Moody colors are also suitable for a study and master bedroom. These colors are less desirable in a kitchen, bathroom, or great room, where light and airy remains preferable. Let there be light! Home lighting is one of the most exciting avenues in home design. Long gone are the days of purely functional, matchy-matchy fixtures. 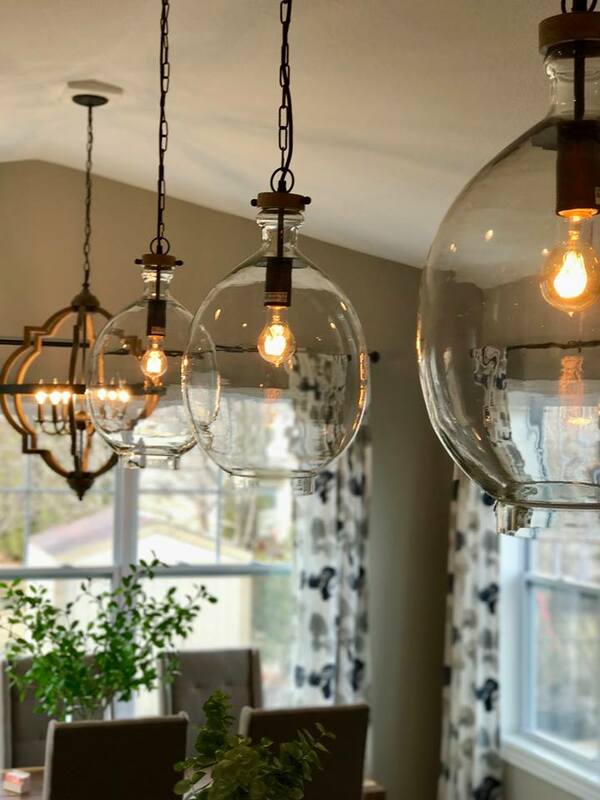 Nothing can update your interior or move your home from “builder basic” to a custom feel quite as easily as switching out a fixture or adding a new light. Need inspiration for overhauling your interior? Start with a new fixture and let it light the way!